Tim Scheirer being his amusing self (after a grand entrance) with Laura Bush, First Lady. 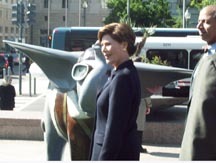 First Lady Laura Bush enjoys a moment with Tim's elephant. Alas, Phat daddy was not one of the chosen beasts to be unveiled first this morning. Yes, I was disappointed, but, hey, I was in good company. 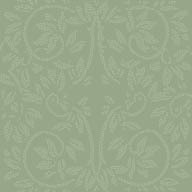 Instead, I am taking the high (and righteous) road and supporting my friend Tim's effort in this same project. His was one of the lucky ones (1 out of 12). 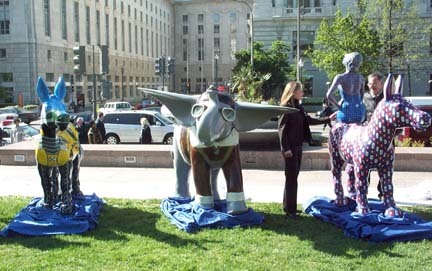 Then they unveiled the animals. Tim was oddly absent from unveiling his. It even looked like he would miss Mrs. Bush's attention as she looked over each creature. But just in the nick of time, from the crowd, Tim bounded over the guard rails separating us from the...royalty...So....happy ending for Tim.